With the most realistic and highest flames in the industry, the Napoleon® GL30E is 30-inches of cozy comfort. Install a Napoleon GL30E Gas Log Set into your inefficient wood burning fireplace. Instead of chopping and hauling wood you can just flip a switch and relax in front of a roaring fire. With the most realistic and highest flames in the industry, the Napoleon GL30E is 30-inches of cozy comfort. Stop wasting time and energy working for a fire. Don’t wait for it to catch and then have to wait for it to burn itself out! Save time and money by just turning your fire on and enjoying it, then turning it off again when you’re done. The GL30E not only saves you time but money too! It’s less expensive than purchasing and installing a gas insert fireplace. Get a more realistic wood fire experience from a Gas Log Set. 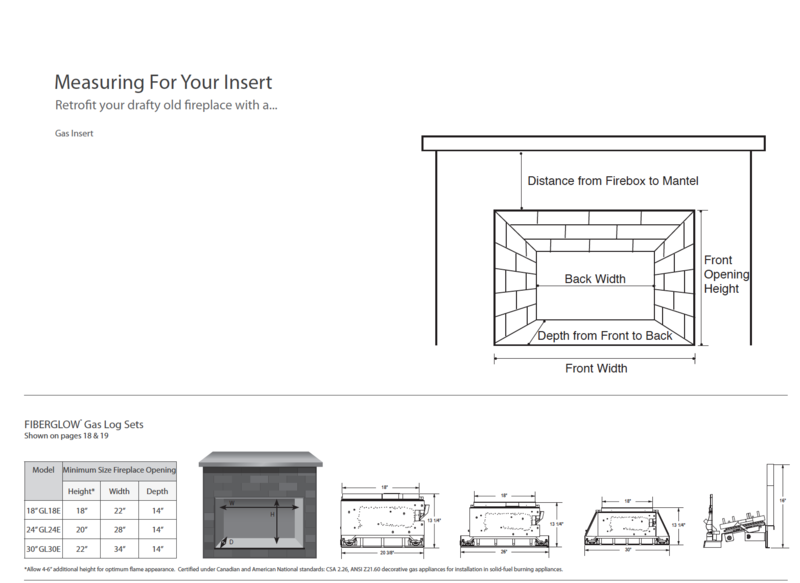 The GL30E installs into an existing wood fireplace opening and uses the chimney to vent. No major renovations needed. The GL30E is an easy update to a room. Save money on your heating bill too. Turn the furnace down and use your Gas Log Set to warm your favorite space. The infrared heat from the flames warms the ceramic fiber logs. When you are done and the fire has been turned off the GL30E will continue to heat your space until the logs have cooled. Every GL30E Gas Log Set comes in one box with everything you need. Complete with the burner assembly, fiber burner cover, the lava rocks, cast iron grate and black andirons, and the hand painted logs.